Nature tourism offers limitless adventure and exploration. If you are visiting Banten Province, you need to go to Bayah District. To be exact, it is in Sawarna Village. There is a recommended cave called Langir. 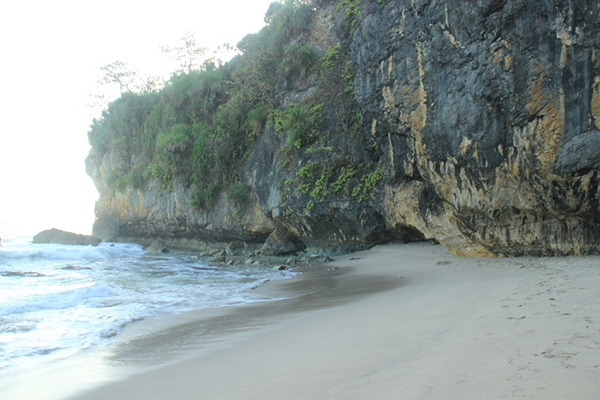 The cave is situated near to the coast and it becomes an extra there. The beach is beautiful and the cave is challenging. The best feature is definitely the stalagmite and stalactite inside. That means the main attractions are definitely those two objects. Both look stunning, especially the stalagmite. The shape of the stalagmite is similar to Borobudur Temple. Thus, you must capture some pictures of those things. Next, it is the nuance. Like other caverns, you may expect dark and chilling atmosphere. Due to this reason, it is better to visit the cave at noon. Also, the floor of the cave is wet and slippery. It is because the location is near to a beach, after all. If you don’t want to get hurt, it is better to walk carefully. Once you reach the gate of Langir Beach, you may find several keepers. They are the locals, actually. The cave is situated about 400 meters from there. For a faster trip, you can rent a tour guide to explore the location. The trip is a little bit challenging. It features a sloppy landscape, so you need to be careful. Not to mention it takes a little bit time to reach the cave. As for preparations, you come in a good stamina. If necessary, you need to carry bottled water. Another important preparation is a flashlight. It helps you to explore the cave safely. Why is that? The dark environment can lead to injury. For instance, you may hurt your head when walking inside. Somehow, the roof of the cave is short. If you are careless, you can get hurt easily. Despite this obstacle, you are able to view beautiful stalagmite. As mentioned before, the shape is similar to Borobudur Temple. The locals even call it “a cave of a thousand temples”. The age of Langir Cave has reached more than a thousand years. No wonder, the stalagmite, and stalactite emit a wondrous aura. If you come with a local guide, he may limit the distance of exploration. Usually, it is about 50-60 meters from the mouth of the cave. Why is that? According to the locals, there are dangerous things ahead. These include poisonous gas and big snakes. Once you enjoy your time inside, it is time to head back to the beach. Overall, the combination of the beach and the cave is definitely amusing. From Jakarta, your destination is Bayah District. The distance is 232 km, so it is going to be a tiring trip. Once you reach Bayah, your next destination is Cikaung Village. The whole trip takes about 5-6 hours. If you ride a good vehicle, the trip is going to faster and more comfortable. For instance, a private car is recommended.